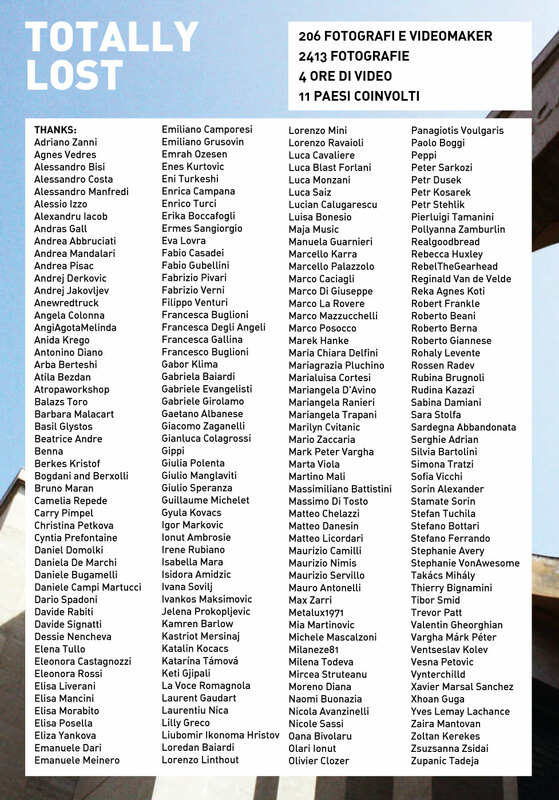 AAA photographers and videomaker wanted! 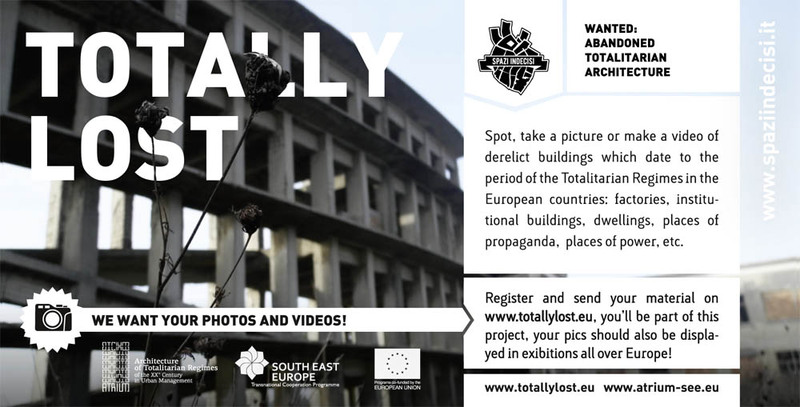 The first edition of Totally Lost saw the participation of over 200 photographers and video makers. We received nearly 2500 pictures and 60 videos showing more than 250 different places in 11 European countries: Albania, Bosnia- Herzegovina, Bulgaria, Croatia, Greece, Hungary, Italy, Romania, Serbia, Slovakia and Slovenia. See a selection of works from Totally Lost 2013!